Upgraded Scope -- An $80 Value. 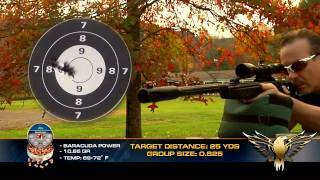 Use your 3-9x40 AO scope and enjoy more control for precision shooting! PLEASE NOTE: The gun and packaging do not mention the IGT gas-piston powerplant, however this gun DOES include the IGT. 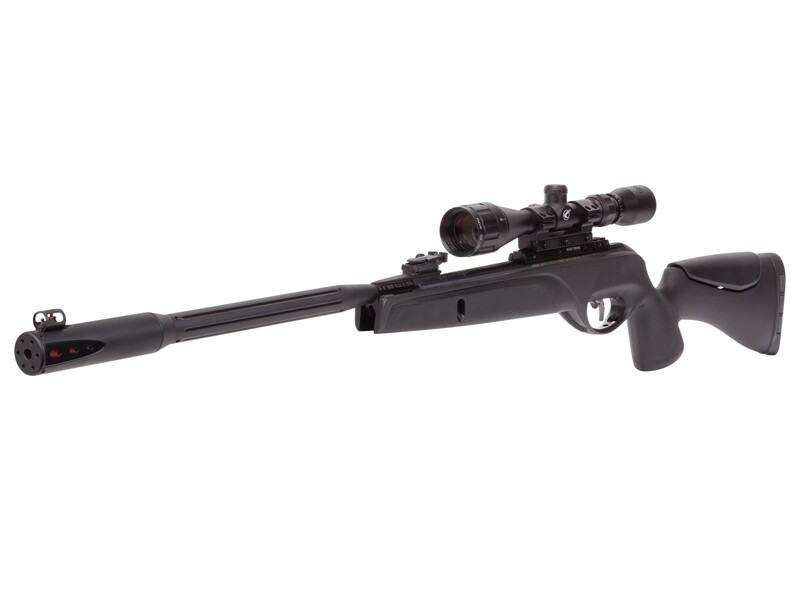 Loaded with features that make it quiet and comfortable, the Gamo Whisper Fusion produces less noise, less felt recoil, and a trigger you can personalize to your needs. The adjustable cheekpiece helps you acquire your target much quicker because it helps align your eye with the scope or open sights. And while many of today's scope/gun combos don't include open sights, this version does, so shoot it with or without the scope. The Whisper Fusion offers all-weather durability combined with maximum performance. 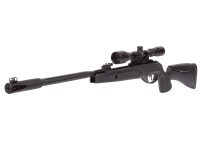 Its lightweight synthetic stock, match grade barrel, and 1300 fps with .177 caliber PBA make the Whisper Fusion perfect for small game hunting, targets, and pest control. Sporting its fluted polymer jacketed steel barrel with patented Whisper Fusion double integrated noise dampening technology, the shot is whisper quiet and almost undetectable to varmints. 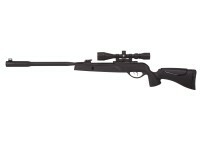 This gun also features the Custom Action Trigger (CAT) and Shock Wave Absorber (SWA) recoil systems. The IGT (Inert Gas Technology) utilizes a pneumatic inert gas cylinder rather than conventional spring technology. For the shooter, that means smoother cocking and shooting, no spring torque, no spring fatigue, no issues shooting in cold weather, and a much longer life than the spring. Things I liked: Bought this gun for pest control. Proved to be very accurate and effective. The scope is high quality and has held perfect zero after several hundred shots. Highly recommended. Lar. 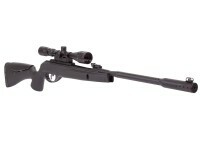 Things I liked: This is one of my favorite Gamo Rifles. Very accurate, quiet, plenty of power and comfortable to shoot. Cocking the Barrel is a breeze.The variable scope is very good compared to other models that don't come with one. 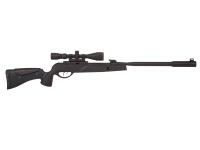 What others should know: I would recommend this rifle to someone looking for a single shot break barrel. Things I liked: Excellent rifle for the money. Dont even bother any neighbors. Powerful and acurate. Great costumer service. What others should know: Make sure to tighten all torx srews enough so wont have any movement of the scope. Adjust scope on different yard lengths and im using 14.3g crossman not the best but seems like it likes those pellets and noise level is quieter. How do you adjust / set the RRR scope rail so it moves like it does in the videos? Torque settings? Also, best adapter for 11mm to 21mm rail? I just got a bug buster scope but the mounts that came with it are Picatinny and 21 mm wide. The movement is so minuscule you would never see it. There's nothing to adjust or set up. You're better off getting proper dovetail rings, not an adapter. I should clarify i was talking about the whisper elite igt. Looks like a great rifle. Any problems with the breech?